peaches on the set of James and the Giant Peach. Spread your love for Encore! 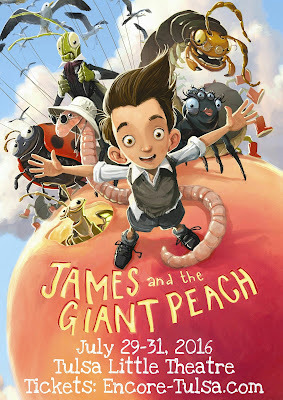 and James and the Giant Peach by joining our photo contest. Click here to print your own Traveling Flat Peach! Wherever you go, take a photo with the peach and submit it to Encore's Flat Peach Photo Contest: Post your photos to Facebook, Twitter, or Instagram using the hashtags #FlatPeach, #EncoreGetsPeachy, and #EncoreTulsa for a chance to win exciting prizes, which will be awarded at our performances of James and the Giant Peach July 29-31 at Tulsa Little Theatre. Each post containing a photo with the peach and all three hashtags equals one entry, so take many photos to increase your chances of winning. Have fun! Don't forget to purchase your tickets for James and the Giant Peach, which runs July 29-31 at Tulsa Little Theatre. Click here for tickets and details! 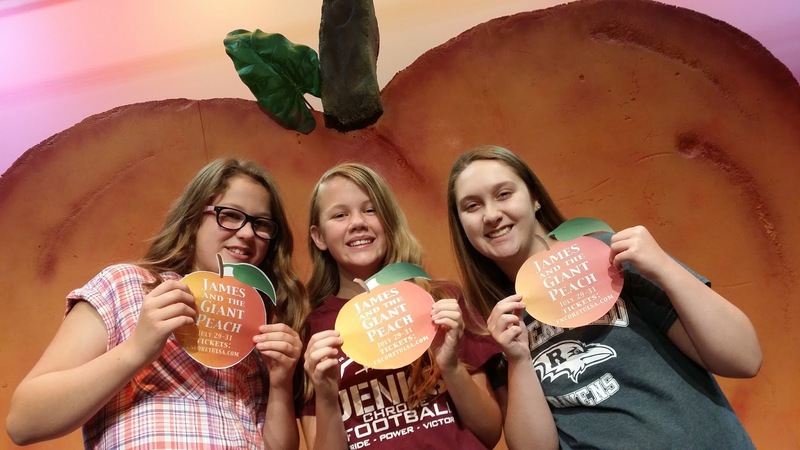 James and the Giant Peach is presented by Encore! Tulsa and sponsored by Tulsa Little Theatre and Law Office of Bryce A. Hill.